Which is Better? Plastic, Stainless Steel or Hybrid Dishwasher Tub? When buying a new dishwasher, it’s easy to overlook something as simple as the interior tub. 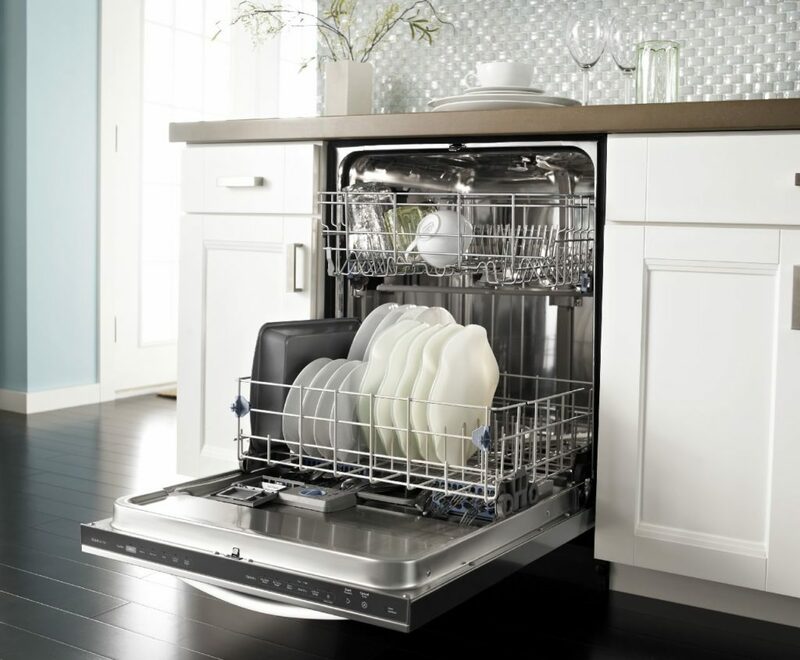 At first glance, it’s true there’s not much to look, but dig a little deeper and you’ll be surprised by how much that interior can change your dishwasher experience. 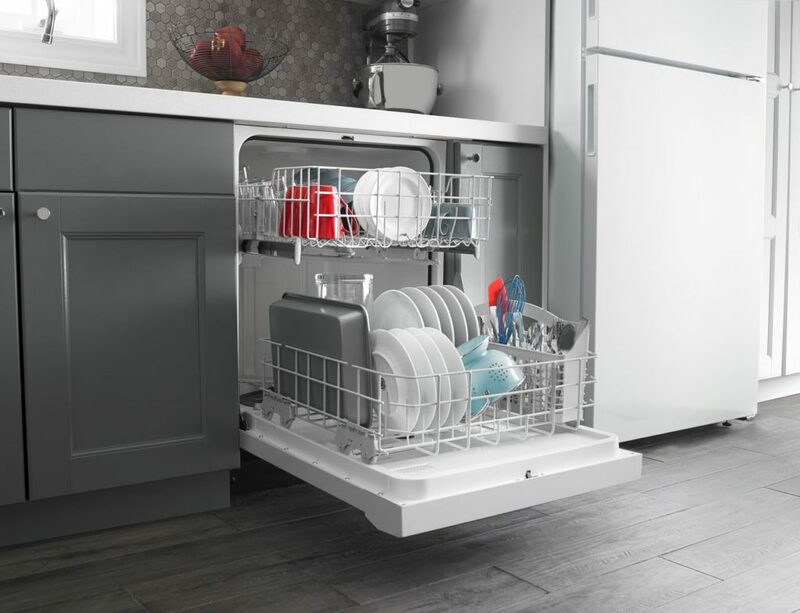 From performance to energy use, to noise and even price there’s a lot to consider when it comes to choosing the right interior for your dishwasher. Stainless steel and plastic tubs are the most popular. However certain manufacturers also offer a hybrid plastic/stainless options. We’ll compare all three interiors here, so you know exactly what to expect. It’s quiet. 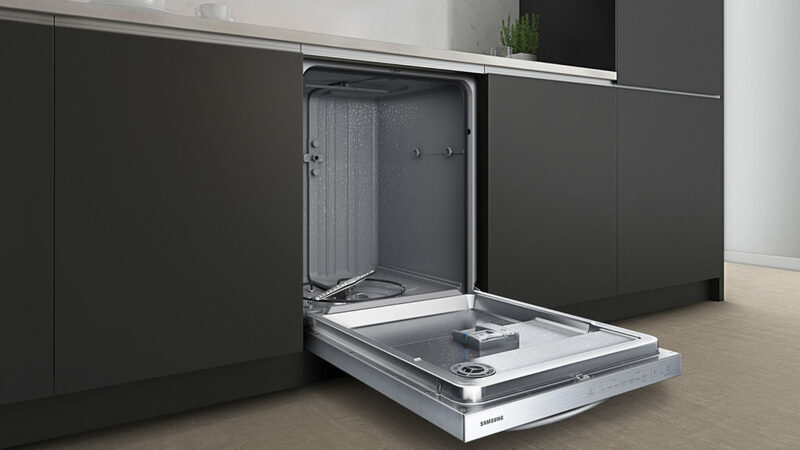 The density of the steel tub helps absorb sound, which makes stainless steel interiors the quietest dishwashers on the market. It’s eco-friendly. Stainless steel absorbs heat during the wash cycle, and that radiant heat helps dry your dishes afterwards. Because less energy is required to dry, stainless steel tubs often use a 450-watt heating element compared to the 600-750-watt elements used in plastic tubs. It’s cleaner. Stainless steel can withstand higher temperatures than plastic so you can expect water temperatures of up to 160 degrees during your wash cycle. The higher temperature kills more bacteria and guarantees cleaner dishes. It’s less expensive. At the entry price point, you can only buy plastic interior dishwashers. For property managers, students, and anyone else on a budget you’ll save a considerable amount of money compared to stainless steel. It’s durable. 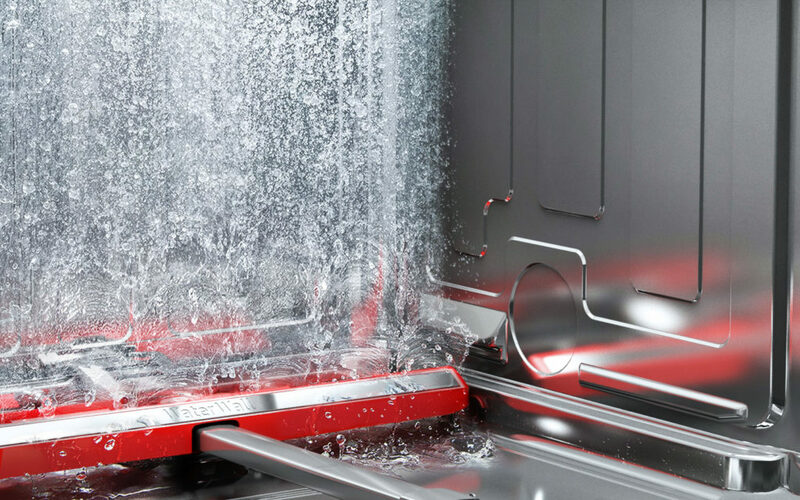 Stainless steel interiors are technically stronger and more resistant to cracking, but the truth is that the heavy-duty plastic used to construct a dishwasher will last longer than the life of the machine. Plastic tubs are also made of BPA free plastics making them a perfectly safe alternative. It’s easier to maintain. A plastic tub is more resistant and better at concealing stains (including hard water) compared to a stainless steel interior so you won’t have to worry about unsightly discoloration. It’s a great compromise. With a mix of plastic and stainless steel, a hybrid interior offers most of the benefits you get from a stainless steel drum at a more affordable price. So don’t judge a dishwasher by its cover. Now that you know what’s going on inside be it plastic, steel, or something in between you can choose the tub that’s right for you.